You work hard bringing the vision of your dreams to reality and the Hocking Hills Chamber of Commerce believes your dreams are what keep our downtown and county thriving! 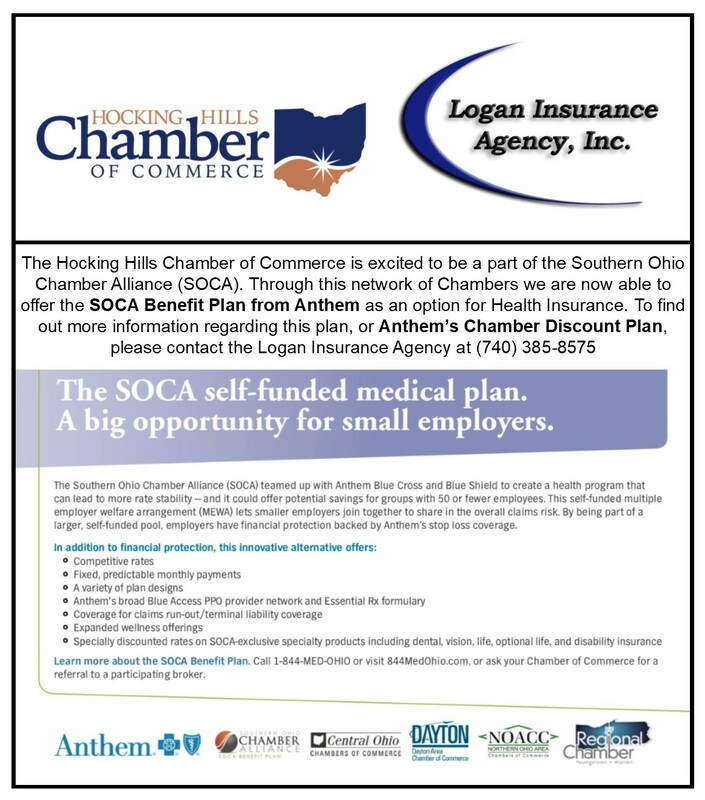 The Chamber wants to give you all the support we can to continue growing The Hocking Hills Area! Throughout the year, we hold specific Chamber functions. Whether it is the economic forecast at “The Groundhog Breakfast”, business trade show at the “Annual Recognition Dinner & Showcase”, fun in the sun at the Golf Outing, you will find the networking opportunities you need to grow your business! If it is notoriety you need, the Chamber will schedule an Open House, Ribbon Cutting, or Breakfast/Business Before Hours or After Hours celebration at your request. Educational programs are offered monthly to keep you up to date on the latest topics such as web design, Quick Books, and marketing techniques. And we support our own, by sponsoring events such as the Health Network Group, Christmas Parade, Meet the Candidates Luncheon, and YEA! Program. You will find all you need in the Hocking Hills Chamber of Commerce—where we work hard to help you launch, open, and grow your business!